You’ve recently been thinking about getting a facelift, but you aren’t sure what type of facelift or what facelift technique would work best for you. Before receiving any type of surgery, it is important to consider all of the available options. Here’s a quick look at the different types of facelifts and facelift techniques that you have to choose from. Traditional full facelift—a full or traditional facelift will address your entire face, including your neck and eyebrows. A full facelift may be performed with a neck lift, for more comprehensive results. This type of facelift can address sagging skin in your cheeks, chin, and jaw; reduce creases between your mouth and nose; reduce deep wrinkles under your eyes; and reduce displaced fat deposits. Because it targets a larger area, the treatment requires a longer incision (usually running along the temple, around the ear, and down to the neck. Full facelifts can address more dramatic signs of aging, therefore making them popular among patients in their 50’s and 60’s. 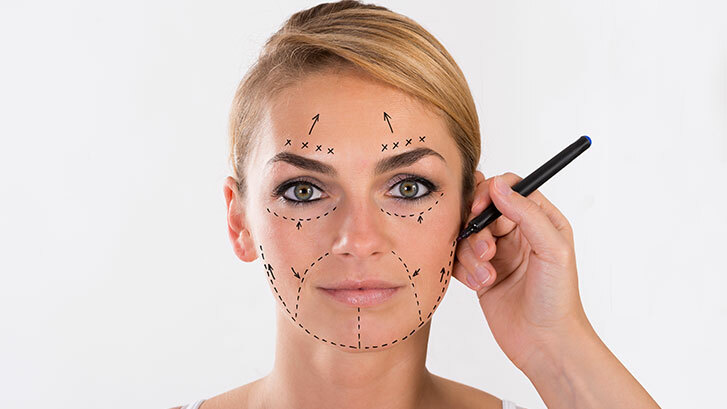 Mini facelift—a mini facelift primarily addresses the middle of the face, and is typically recommended for younger patients and for patients who desire only moderate change. This procedure requires smaller incisions (usually made just below the earlobes) as it addresses a smaller portion of the face. This type of facelift is also referred to as a weekend facelift due to its much shorter recovery time. Mid-face lift—a mid-face lift works to restore a smooth, youthful look to the lower eyelids and cheeks, getting rid of that tired and haggard look. During this procedure, your doctor will create incisions similar to a traditional facelift, only deeper. This will allow for your doctor to lift the muscles that are normally untouched during a traditional facelift. Since this procedure only addresses some of the signs of aging, it is more suitable for patients in their 30s and 40s. Dr. Binder commonly performs what is known as a mid-face lift, which you can learn more about here. Thread facelift—during this type of facelift, special threads are use to discreetly hold repositioned skin and facial tissue in place after surgery. This treatment tends to be most suitable for patients in their 30’s and 40’s who want to make minor adjustments to their appearance. How noticeable the results are depends from patient to patient, and it was one type of facelift surgery not utilized that often by Dr. Binder. You can find out more as to why here. Endoscopic facelift—this technique can be used on all types of facelifts, and uses an endoscope (a microscopic camera attached to a small, handheld wand) to obtain a clear view of the underlying facial structure. This technique is usually best for patients who want to address drooping muscles and misplaced fat, but don’t have a large amount of excess skin. The same method can be used to achieve an endoscopic forehead lift. Cutaneous facelift—this is the oldest facelift technique for addressing only sagging and excess skin. This technique carries a reduced risk of nerve damage and other complications, but the results don’t last as long, and may not look as natural. S–lift—this technique is most suitable for treating the jaw and lower face, as it doesn’t offer as dramatic of a result as traditional facelift techniques. Deep plane lift—this technique is especially effective in treating the mid face, including deep nasolabial folds. However, this technique does involve more risks, especially to the facial nerves. Subperiosteal facelift—this technique goes even deeper than the deep plane lift in order to address sagging in the mid face by targeting tissues just over the facial bone. Before choosing which type of facelift and technique will work best for you, you should consult with a qualified doctor. Book a consultation with Dr. Binder today, so that he can answer any questions or concerns that you might have about getting a facelift.